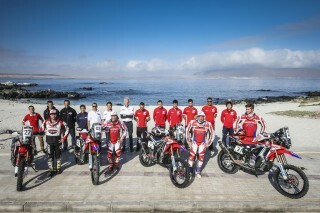 Team HRC travelled in August, but not on holiday. 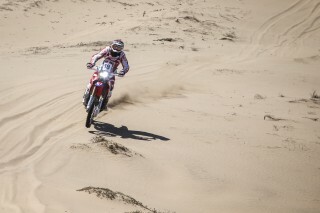 Now after the successes of the U.S. and Chilean rallies, the team and riders are preparing to face the forthcoming events. The Atacama Rally marks another step forward as Team HRC readies itself for the season’s greatest challenge: the Dakar Rally 2017. Paulo Gonçalves, Kevin Benavides and Ricky Brabec weathered a rough, gritty Atacama Rally adequately with stage wins and an overall podium place in the tightly-fought battle from start to finish. 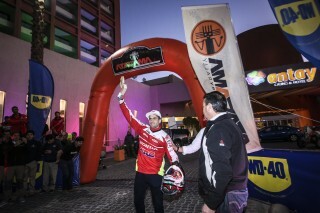 Kevin Benavides once again put his gift for rallying on display, imposing his speed in the prologue and making regular finishes amongst the sport’s big guns. 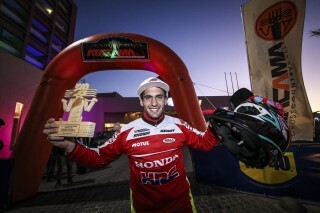 The final place on the podium shows that Team HRC’s gamble on the young Argentinean rider is reaping dividends. Paulo Gonçalves rode his second rally of the season and will arrive at the OiLibya Morocco Rally with distinct possibilities of snatching the top prize. 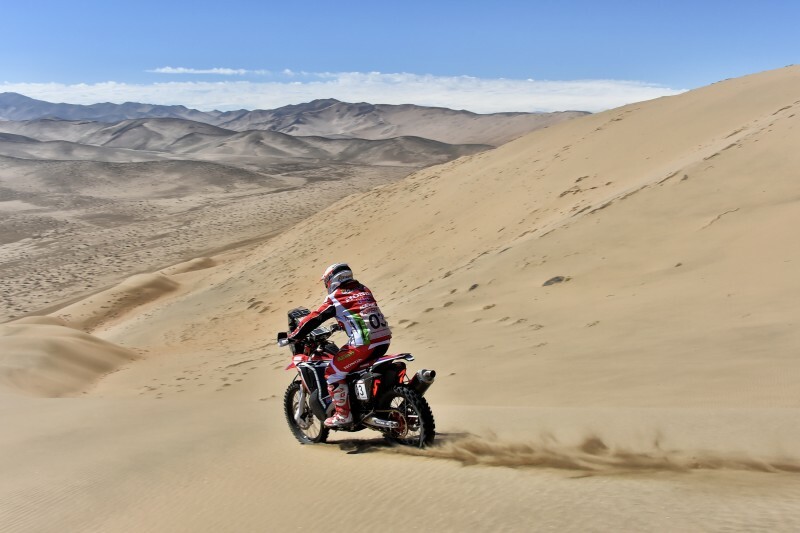 Had it not been for an unlucky fall and subsequent abdomen injury in the Atacama Rally, the Portuguese rider could have been won. A penultimate stage win and fourth in the general standings will leave Paulo somewhat dissatisfied, but the Portuguese ace is more than happy with the way the CRF450 RALLY has performed throughout the event. 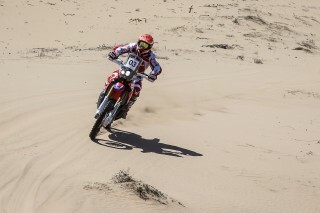 For Ricky Brabec, the Atacama Rally meant a further apprenticeship on the way to becoming a great rally rider. 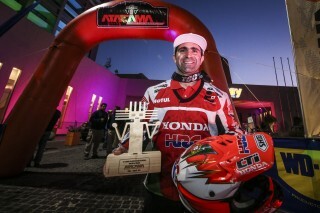 The American rider continues to clock up mileage and experience in a far from easy race. 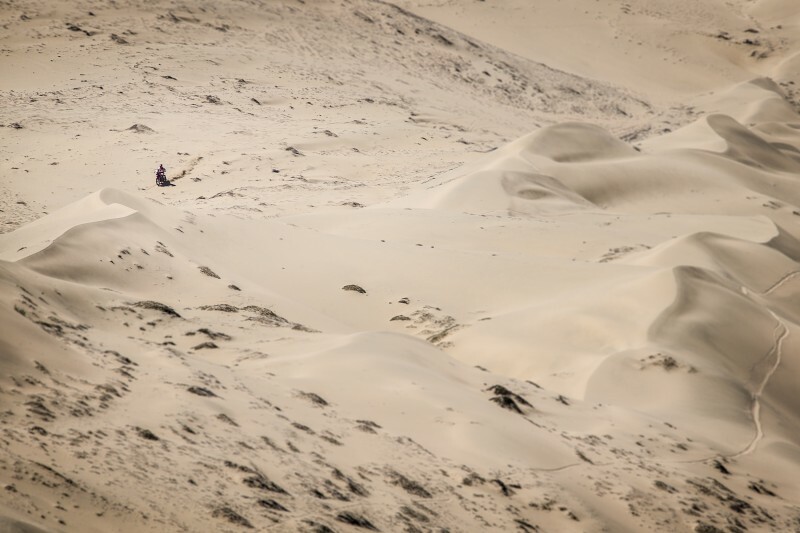 The high navigational demands and the breakneck speeds in the northern Chilean deserts represent a steep learning curve. Thus closes the vibrant month of August which has seen the team spend three weeks in the American desert putting the Honda CRF450 RALLY through a severe testing regime. 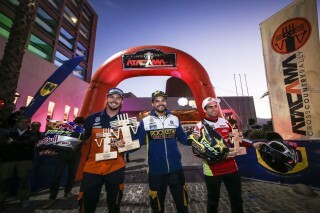 The squad went on to win the prestigious Vegas to Reno race with Joan Barreda and Mika Metge, while the month was rounded off with the Atacama Rally. 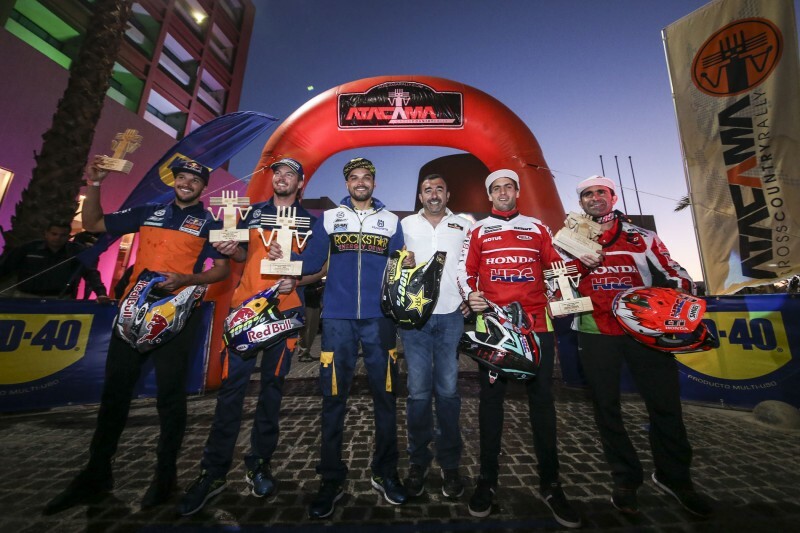 September means that only four months remain before the riders take the starting ramp of the Dakar in Asunción, Paraguay. 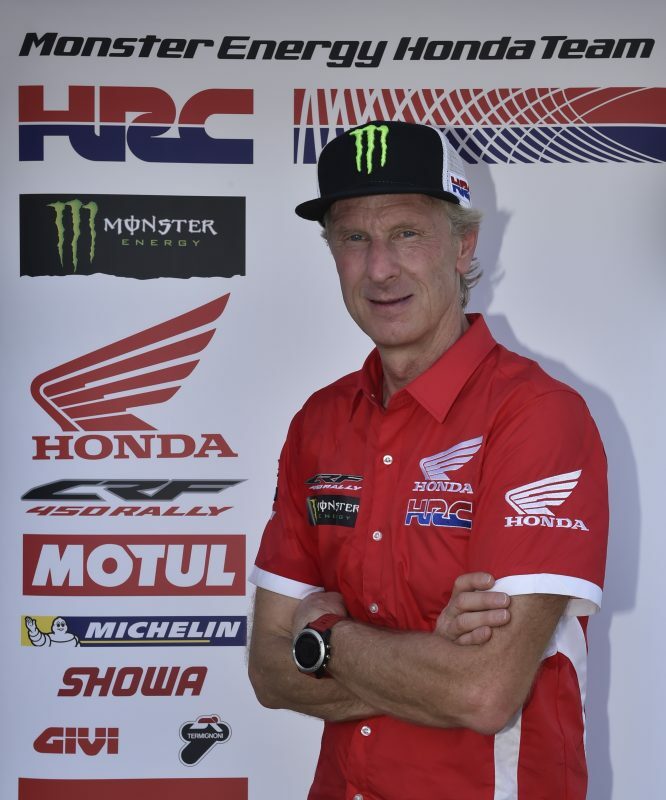 Four intense months for Team HRC with two important events in the pipeline: the China Grand Rally (24th September to 3rd October) and the OiLibya Morocco Rally (1st to 7th October) which will feature the definitive setup of the bike ahead of the Dakar 2017. You can watch the Atacama Rally 2016 video, here. Team HRC closes an intense month of August with a positive balance sheet after the victory of Joan Barreda in the Vegas to Reno and the third and fourth respective places of Kevin Benavides and Paulo Gonçalves in the Atacama Rally. 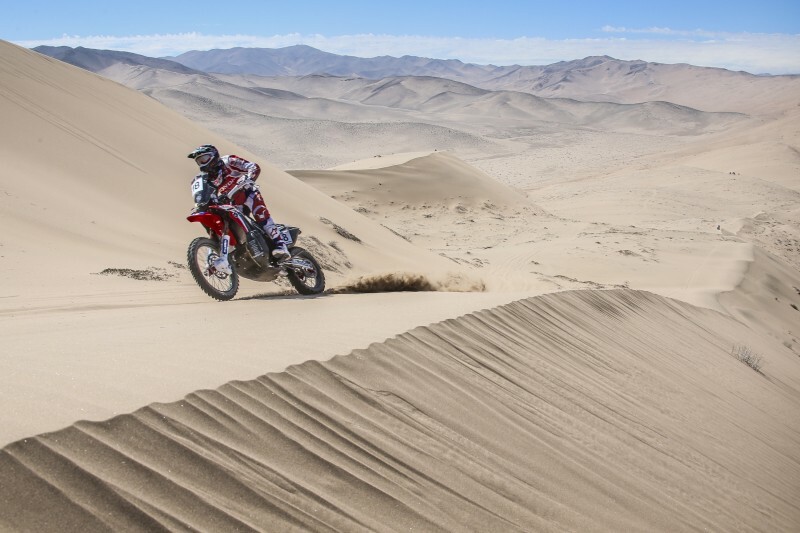 After two days of testing in the Atacama Desert, we will have a four-week period in which to prepare the two final races of the rally season before the Dakar 2017 gets underway. 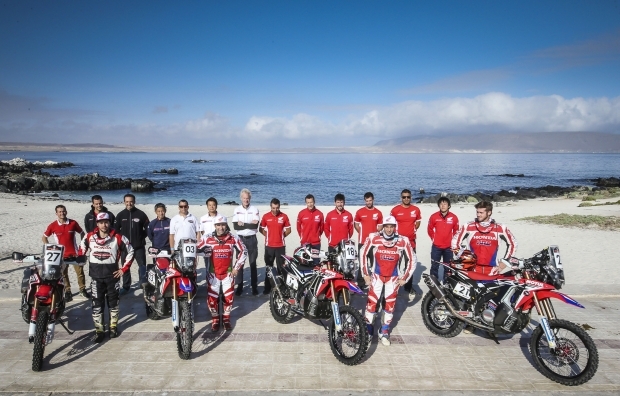 The China Grand Rally will feature the participation of Joan Barreda and Mika Metge, plus the Morocco Rally where Paulo Gonçalves, Kevin Benavides and Ricky Brabec will line up. This will be an intense commitment due to the fact that we will have to form two distinct logistic structures for two teams who will compete in different destinations.